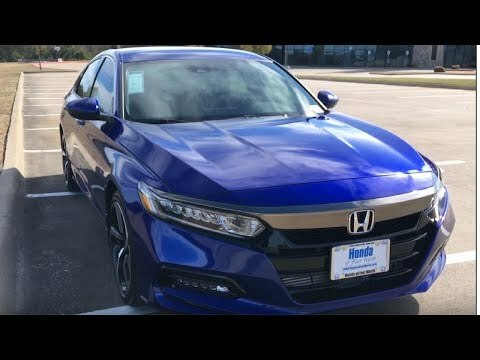 Thanks to Honda of Fort Worth for letting me film this car! Check them out below! 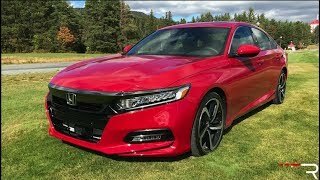 The new 2018 Honda Accord is a huge step forward for Honda. 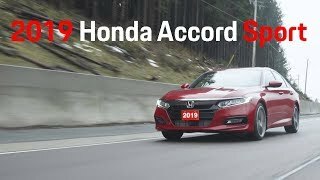 With competition quickly closing in, this new Accord introduces the next level of Honda and shows why this car remains the overall segment leader! I just bought my sport in pearl white, had it 1 week..
.can't wait to drive it again...best car I ever had !!! Can it come with a Sun roof...? Earth dreams engine with turbo = engine troubles. I just bought this exact car. Got an awesome deal because sedans aren't big sellers these days. 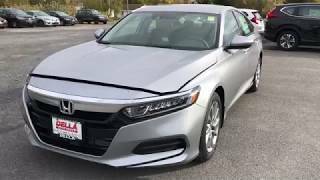 MSRP of $26675 I paid $22507 plus title, tax, etc. If you use sport mode do you have to use petal shifter. @ 1:40 The intercooler cools the air coming FROM the turbo being fed into the engine. 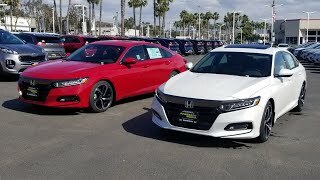 I have 2014 honda civic ex with 31k miles should I trade it in ? I have mine exactly a year ago. I hated the CVT at first then I got used to it. One thing I learned over a year, in a "normal mode", if I want a little boost to pass or merge in the freeway, I use the paddle shifter a click or two. Then it goes back to just D without upshifting. This way I have more control of the CVT instead of pressing the gas pedal. Contrary to what others are saying that you can only use the paddle shifter in a sport mode. Great review but I didn’t know Jordan Peele had a twin! 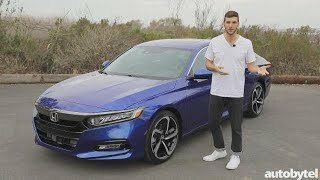 I like the looks over the 9th gen, but i think the 9th gen has a more sculpted interior. I dont like the screen sticking out of the dash. 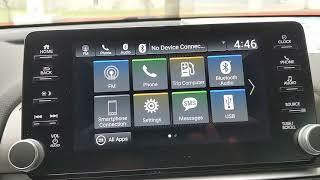 It doesnt look as nice as a integrated screen with the dash sculpted around it. So i prefer the 9th gens interior. But this car does have better power trains, more rear seat leg room,bigger trunk. So it is improved in most respects. But i am weary of the reliability of turbo engines. Its a smaller engine working harder. 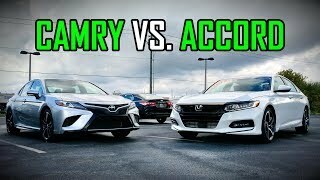 So i would think they would wear out faster than the 2.4 liter i4.and the 3.5 v6 in the 9th gen.
“Curvy, twisty road” LMAO...just getting off the exit ramp. Go easy on the hand gestures - it's a tad annoying. 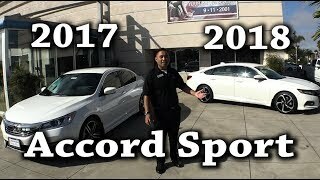 What type of tint on the windows? 35% or 50%? yup, so does EX, but then, Sport has more features than the LX. weeaaakkk...2.0 really? should have left the V6 in there what were they thinkin? +Robert Racy still id rather have the v6, v6 sounds better and just can make more power out of a bigger engine. The older 4 cylinder cars were beasts were talking early 2000s and 90s. 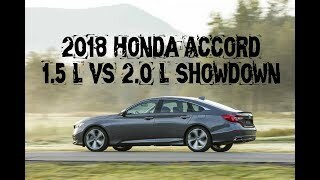 Im sure the new honda accords at least 2.0 is fast but just isn't for me. Id respect it more it being left alone as a v6. And then turbo it. Bam you got yourself a beast. +caldwell Case beast?? No, the only beast i know in a 4 cylinder is the older evo"s or sti's. Also the last honda to be a so called beast was the 92 hatchback. 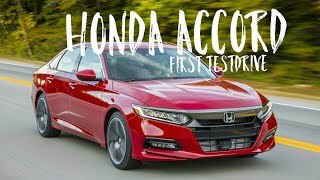 Honda again should have just stuck with the v6 in the accord. 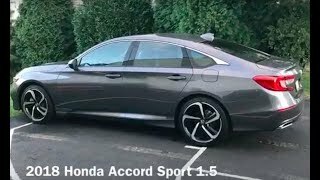 Im sure the 2.0 is quick but if anything leave the 4 cylinder to the civic and v6 to the accord. 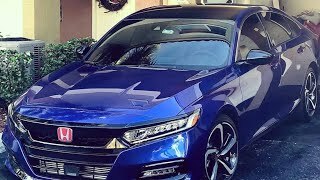 Im an american muscle kinda guy but i still give certain imports props, just in my opinion the v6 should have been left in the accord. 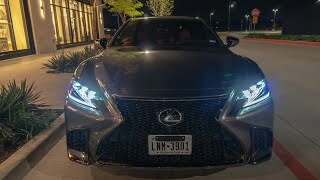 It’s obvious that you have not driven the 2.0 turbo son because no way this beast is weak.This is the real deal baby.Let me tell you ,this car is FAST. I am averaging around 19 miles per gallon because I cannot keep my foot up off that accelerator.Hoping people sleep on this car because I don’t want to see them all over place ,however must be truthful about my experience with this car.So,please DONT buy one. The funkiness is the system asking you to put your hands on the steering wheel. ​+YAAASolid Yeah the Camry is the one I see old people driving the most. 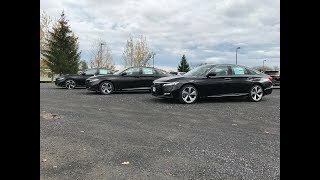 I guess not the Sport/Touring Accords but the other base ones. 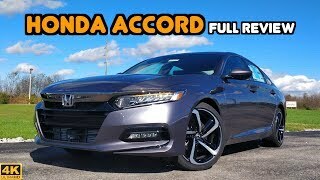 I'm disappointed that there is no longer an Accord coupe. It would've looked really cool with that design language. 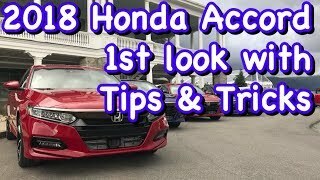 Abhiram, great details about the Honda controls and everything! Thanks for giving me bunch of explanation..
Love the white Si I got now but daaamn, that blue. Plus it has a nice light interior, meaning not hot af to sit on and that equals more effective seat cooling as well, without much doubt. Ok i have made my decision ty. Does anyone have a winning lottery ticket they dont need? 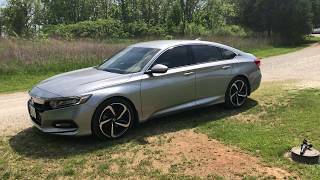 The chassis and suspension set up of the new Accord is amazing as is the interior and technology. Even more dramatic and smile creating is the power of that 2.0l turbo. The 1.5l turbo is strong and surprisingly quick, whereas, the 2.0l turbo paired with the 10speed automatic is a Audi A4 killer. An absolute beast. I am shocked of how quick that 2.0l turbo really is. 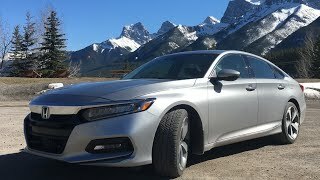 2018 Honda Accord Sport 2.0T | Testdrive & Impressions.